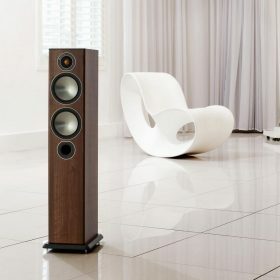 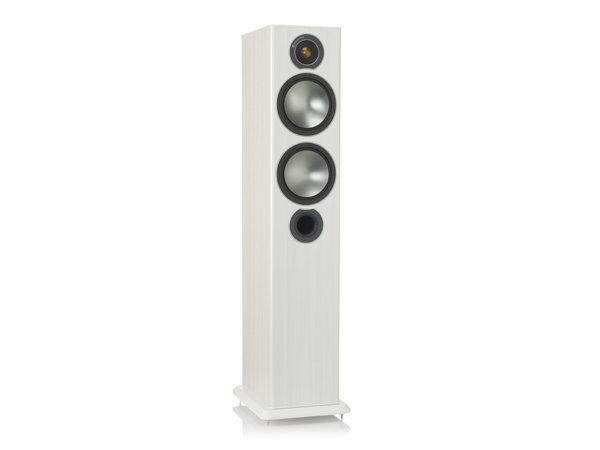 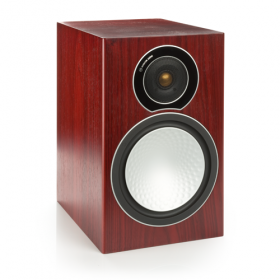 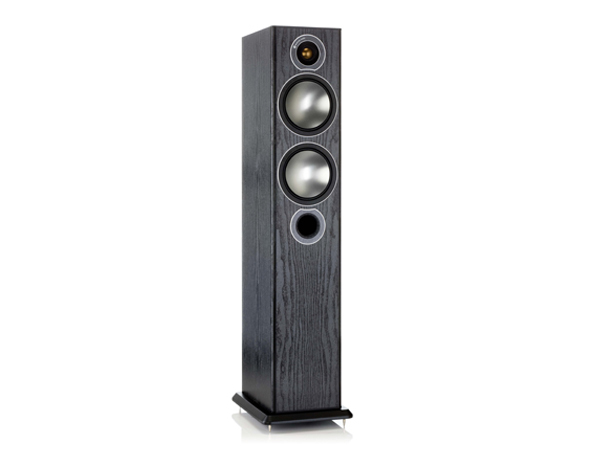 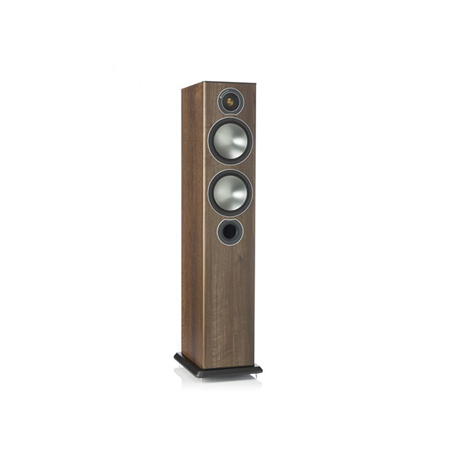 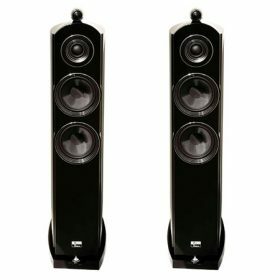 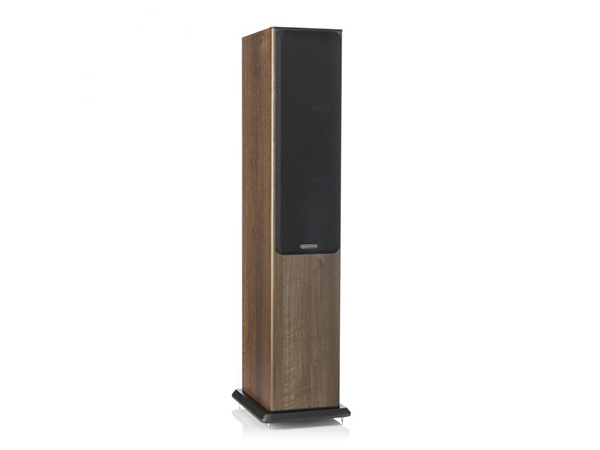 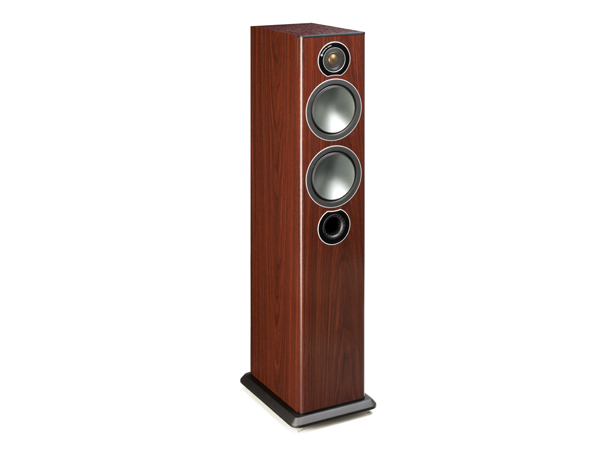 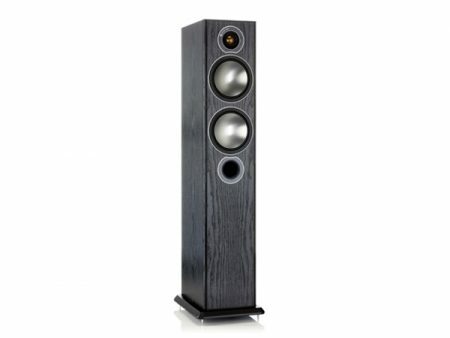 The slender Monitor Audio Bronze 5 delivers powerful, responsive bass lines that belie its stealthy appearance and surpass those of many much larger towers. 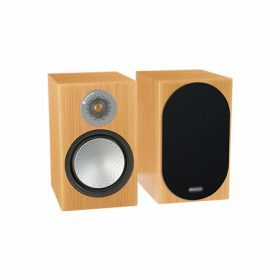 Its 5 1/2” C-CAM® bass driver and 5 1/2” C-CAM® bass/mid driver are arranged in a two and half way system configuration, operating in separate acoustic chambers with front and rear firing HiVe ports to provide differential tuning for higher efficiency and greater low frequency extension. The Bronze Five’s low-distortion architecture expertly combines clean, expressive mid and high frequencies with punchy room-filling bass lines delivering a naturally rhythmic and addictive blend of large-scale dynamics and detail from a surprisingly unobtrusive tower.